This layout started with cutting apart one of the patterned sheets of paper. I cut the dot one in half and trimmed my photo down a bit and started just laying things down, playing with placement. I ended up trimming the top ones a little shorter so I could have a good 1/2″ frame around the entire layout. Everything you see on this page came from the Year >> Noted kit. I used only Black ink and added my own handwriting to the journaling list. The title was cut with my Explore and one of the fonts I found in Design Space. I also added some doodled lines around the entire frame. I’ve been doing that a lot lately and I really like the look. I also love that even though there’s a lot of great embellishment, this layout is completely flat. It won’t be adding any bulk to my album. Sometimes that’s just what I want. I can’t wait to create some more with what I have left over. Don’t forget that this kit is only available for the month of January and is only $5 with an order of $50 (or add on the mini album for a kit total of just $10). 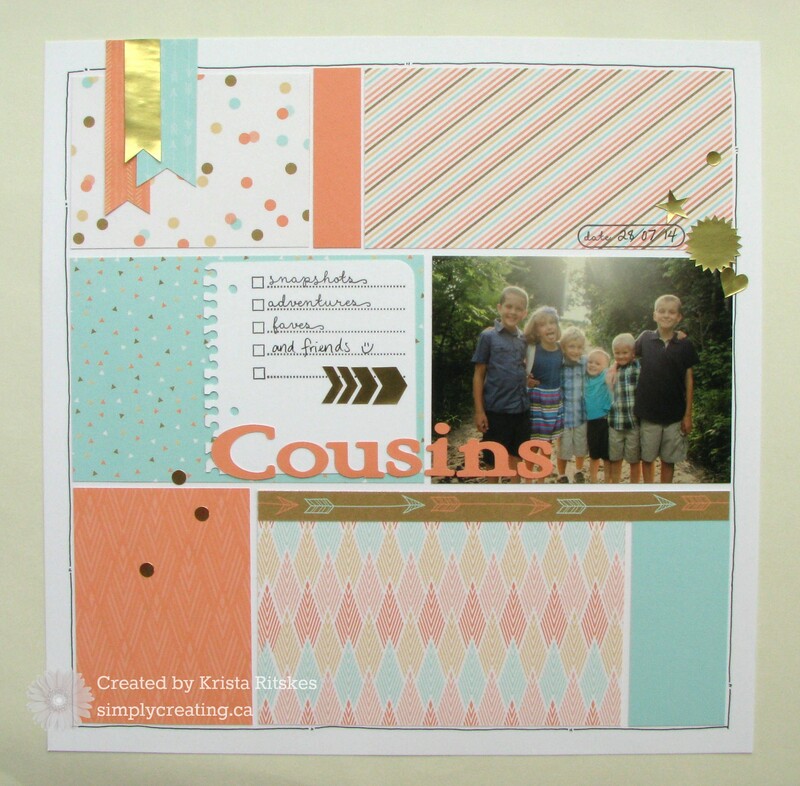 Now it’s time to hop on over to Arlene’s blog and check out what she did with this kit. Love it! Love the blocks of colour and the doodled outline. This is so adorable – and it is the perfect layout for your photo. 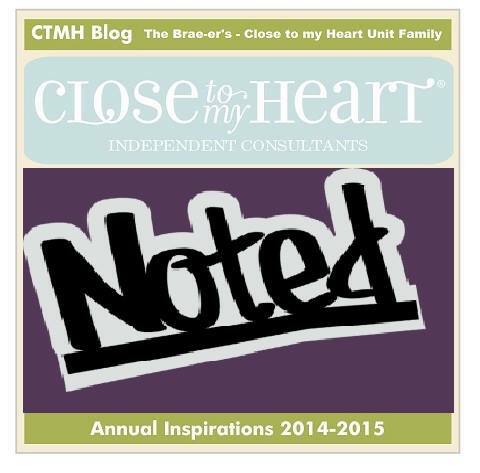 I love the look of the journaling – torn from a book. Just so perfect. Fabulous! Thank you Alyson. That journaling piece is from Artbooking. 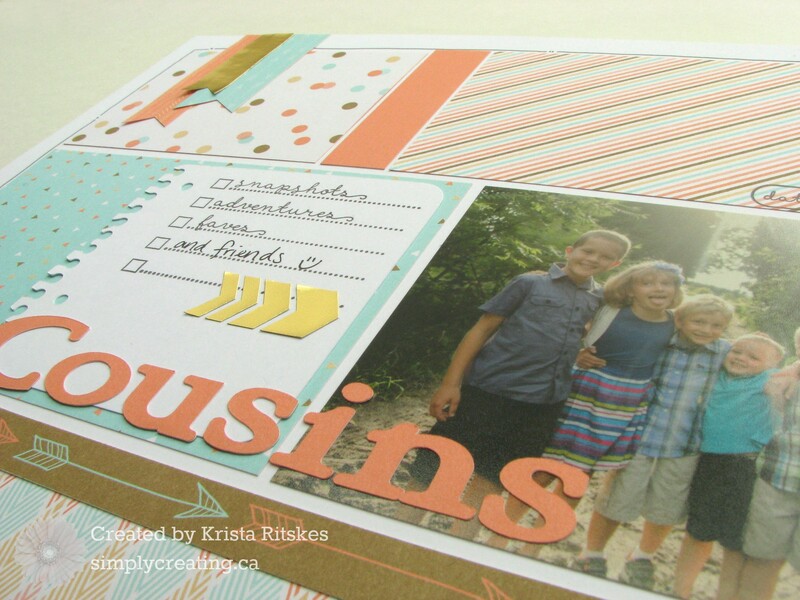 cute kids … nice layout . another great layout to pin and life! thank you for sharing.